Todd came into our shop one day looking for louver and panel shutters to make planters. 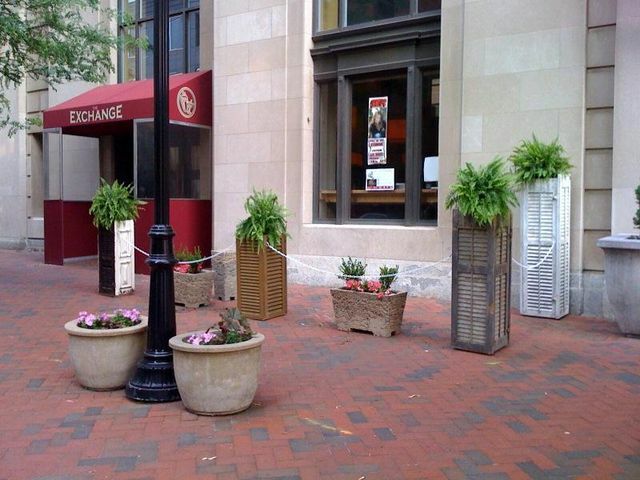 He utilized different size shutters to create an outdoor area in a city environment. He made all of the boxes different allowing the louvers and the panels to dictate height size. I like the fact that he left them in their original state as well as their paint colors. They make a very interesting statement walking down a city street. I can picture these on patios, decks or sprinkled throughout a garden.